Nothing is more important than a first impression and your smile, or better yet your teeth, have so much to do with making a positive first impression. 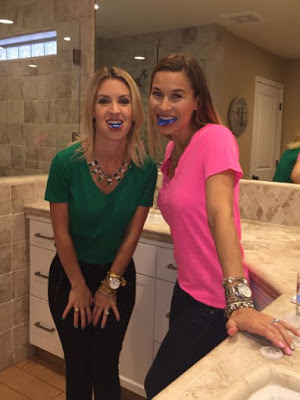 My girlfriend and fellow blogger Annie, from The Real Housewife of Fresno, asked me to join along in a teeth whitening process with Smile Brillant and of course, I said YES! 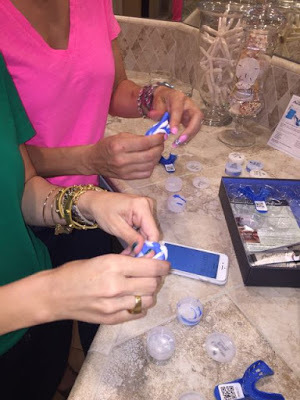 We had so much fun creating our impressions and are excited to start the process, because who doesn't want whiter teeth! You can watch us HERE as Annie walks you through the entire process of creating your impressions and you can read about everything Smile Brilliant has to offer HERE. Stay tuned as we start the process and show you the before and after results! Plus, maybe, just maybe, we will share with you some of the bloopers from our videos. Trust me when I say they are juicy!